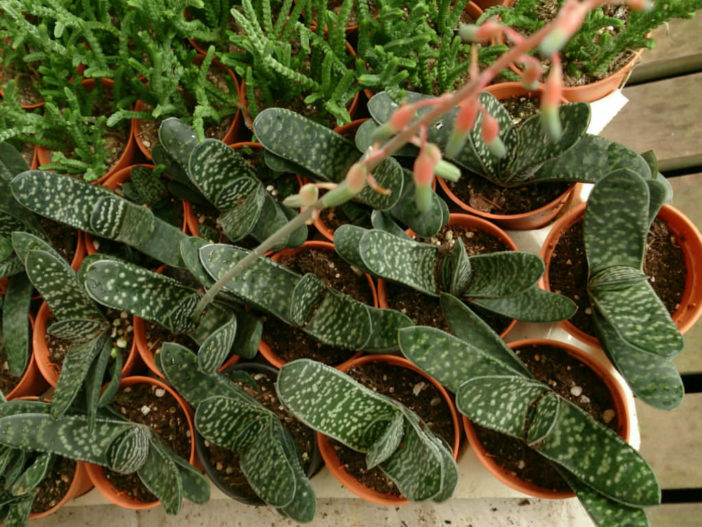 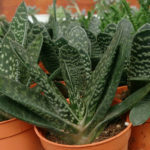 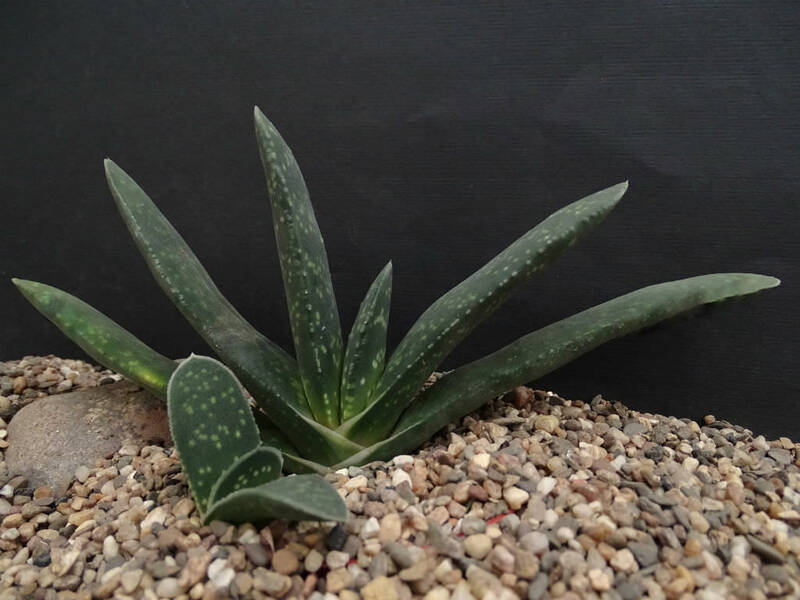 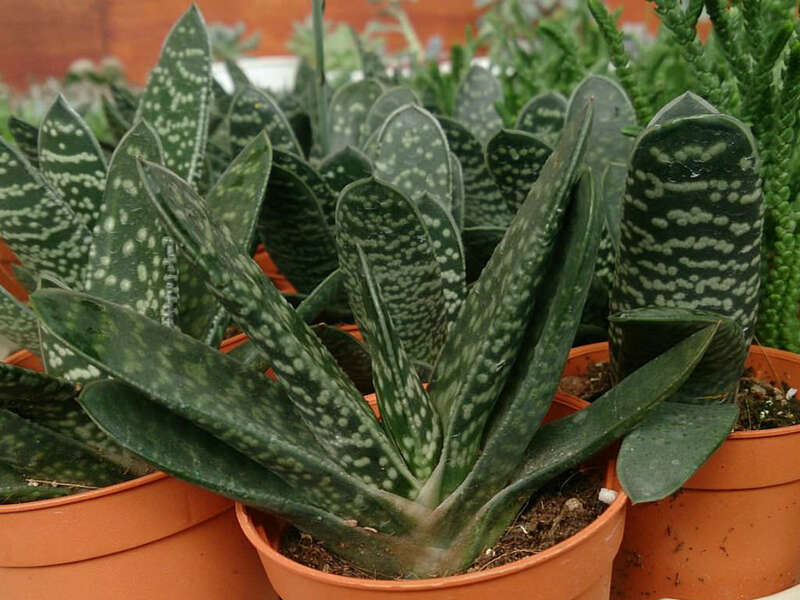 Gasteria pillansii is stemless succulent with strap-shaped leaves in two opposite rows and is very variable in its appearance and especially in its size. 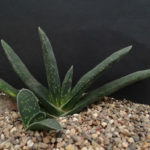 The rosettes are up to 8 inches (20 cm) tall and 16 inches (40 cm) wide. 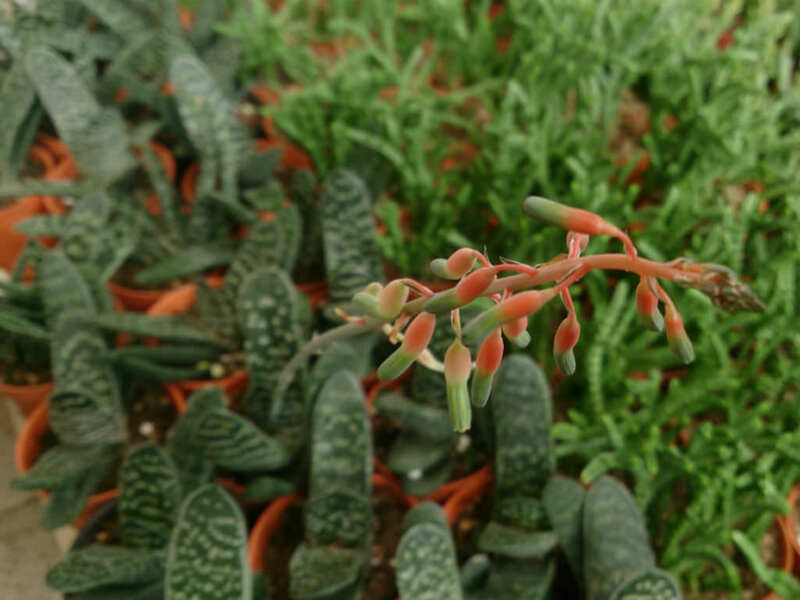 The flowers are up to 1.8 inches (4.5 cm) long, with only slightly swollen bases for up to 1/3 of the length. 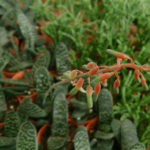 It is native to the arid winter-rainfall regions in the far west of South Africa and Namibia.